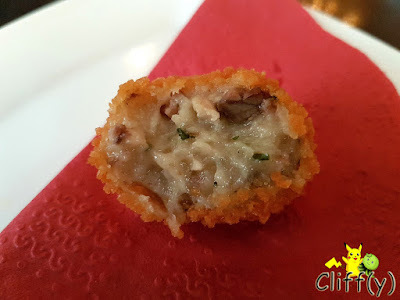 'Stamppot' with a huge meatball! It felt good to be back in Amsterdam, the Netherlands. 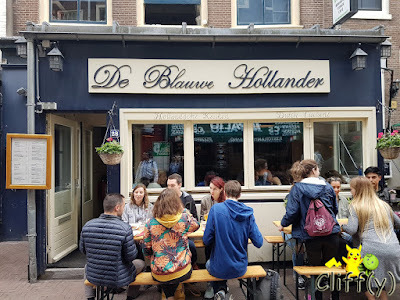 For lunch, my BFF and I were headed to De Blauwe Hollander (lit. The Blue Dutchman) that has been around since 1979. The name of the restaurant refers to the marines in blue uniforms who were sent to Indonesia and Suriname as permanent representatives of the country. Here's a quick history lesson: Cornelis de Houtman was the first Dutch man to arrive at Banten, Indonesia back in 1596. 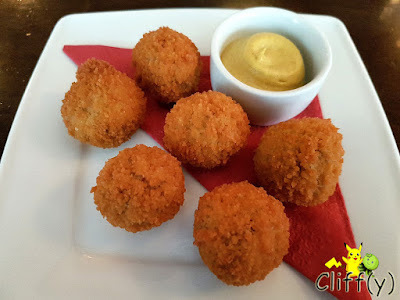 From the list of appetisers, we chose bitterballen (Dutch deep-fried meat-based balls) that you can also find in some parts of Indonesia. Having adequate thickness, the outer casing was truly crunchy. The savoury filling was made of a mixture of beef and veal in a thick roux, which was aromatic due to the addition of nutmeg. 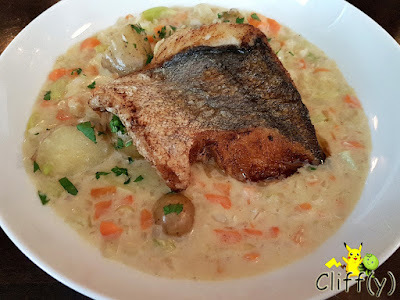 The restaurant offers four types of stamppot (Dutch mashed potatoes mixed with vegetables or fruits), all at the same price. 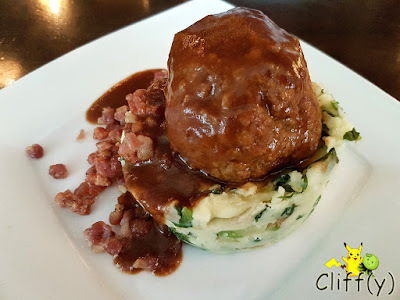 The mashed potatoes with chopped endives were moderately velvety, coming with a big-sized meatball that was quite juicy. Having said that, the dish was a tad salty, especially the bacon bits. Waterzooi is a stewed dish of vegetables thickened with cream and egg yolks, which actually originated from the Belgian town of Ghent. Served to us that afternoon was a mix of fennel, leeks and carrots, which tasted alright. 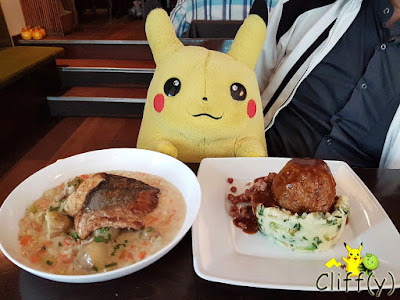 What I truly enjoyed was the flaky, succulent hake fillet that was crispy on the outside. 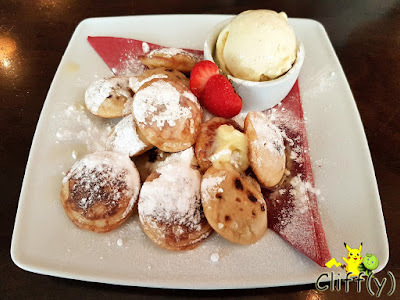 I certainly couldn't resist the temptation of those mini pancakes that were fluffy. The combination of melted butter and the not-so-sweet castor sugar was to die for. There was a scoop of vanilla ice cream, but we ate it separately as we didn't want to ruin the taste of tradition. The restaurant is within walking distance from the famous theatre building called Stadsschouwburg Amsterdam. Pika's advice: If you happen to be there from October to February, you may want to consider the seasonal Curly Kale Stamppot with Sausage. *Prices quoted are nett prices.